There are many reasons to visit Miami. It is beautiful, fun and has a rich culture, excellent shopping and nightlife, and it’s also next to the Keys and the Everglades. Added to all this are the wonderful Miami beaches – a perfect partner to the area’s tropical weather. 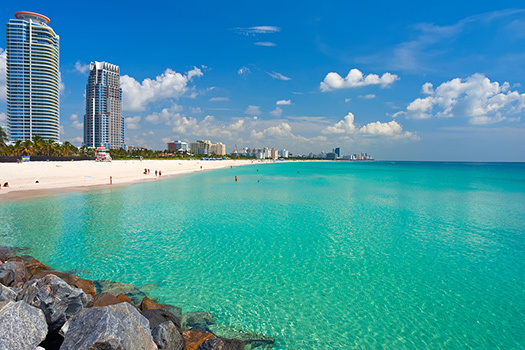 If you are planning to visit Miami, we’ve put together a useful guide to some of the best beaches here to help you get the most from your time chilling on the sand. It’s the place to be seen and is full of fun. South Beach is usually very busy – and you’ll always find something going on here. Whether it’s a photo-shoot or a volleyball match. It’s lined with the area’s Art Deco buildings and is beautifully lit up at night. However, South Beach is pretty big and there are many different parts to it, some of which we’ve covered separately below. This is where South Beach ‘starts’. This part of South Beach is popular with families thanks to its splash and play area near the pier. It also boasts some wonderful views. This part of South Beach offers the best gay beach scene. It’s very popular and is the place to be seen, with regular events and parties. This runs from 6th – 14th street on South Beach. It sits on Ocean Drive obviously so is surrounded by restaurants and bars. This part of the beach is lively and full of sun worshippers. 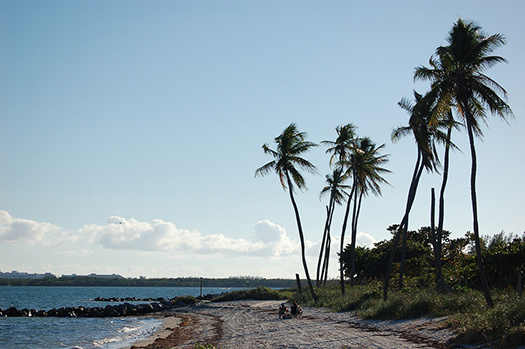 For a quieter experience head south to Matheson Hammock Park Beach. It is very picturesque and has a much slower pace. The waters here are also quite calm, so it’s popular with local families. Further north, Surfside Beach is also a favourite with locals thanks to its quieter and relaxed atmosphere. It sits next to a local residential area, meaning it has a friendly atmosphere with many of the beachgoers knowing one another. It’s also very family friendly. This is popular with locals and tourists and is famous for being nudist friendly. It’s also very friendly with lots of sports opportunities available – including water and land based sport like tennis and golf. 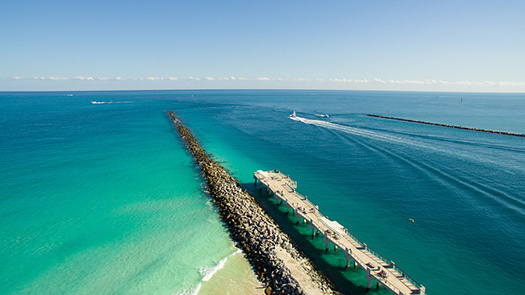 Sunny Isles Beach lies in the north of the area. It’s beautiful and it’s quieter than other beaches. So, you have the views, the pristine sands and beautiful clear waters, but there’s less going on. There are fewer tourists here also, but there are still plenty of bars and restaurants as well as a pier and a public park. 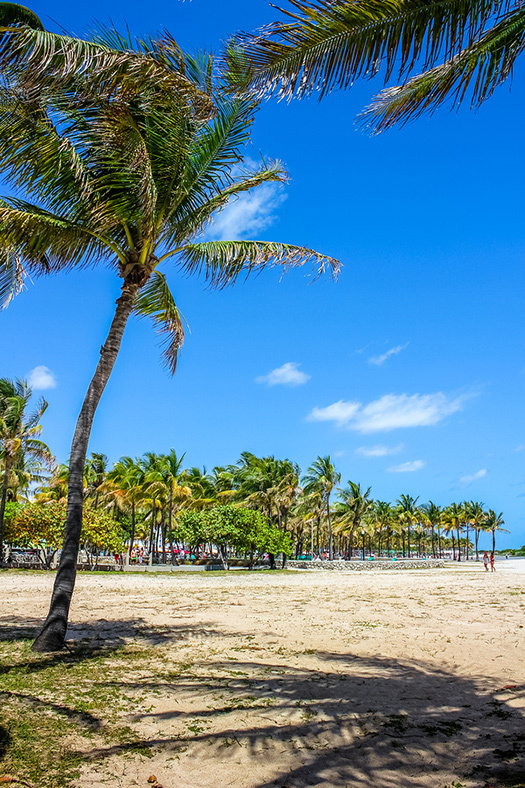 Located at Key Biscayne, this beach is quite historic. It was once known as the only beach in the area that was open to African Americans. Thankfully we’ve come a long way since then. It is popular, but it’s much quieter than some of the other beaches so it’s a perfect place to have a relaxing trip to the beach. Bal Harbour Beach, Collins Avenue. 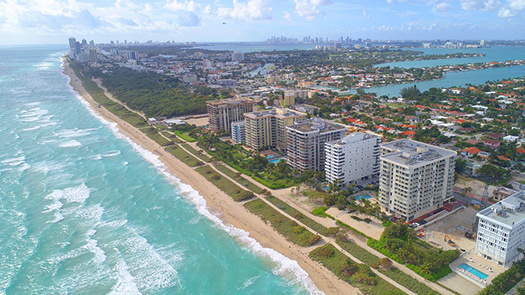 North of Miami Beach, Bal Harbour Beach is surrounded by 5 star hotels and condominiums, but it’s a quiet stretch of beautiful white sand. You can sunbathe or even fish here on the jetty, and there are plenty of restaurants and cafes nearby. So there’s almost a beach for every occasion here in Miami!